GIVEAWAYS Archives - Page 2 of 122 - Who Said Nothing in Life is Free? The EatSmart Precision GetFit Digital Body Fat Scale is not your ordinary bathroom scale as it can quickly and easily measure weight, body fat, body water, body muscle and bone mass using our new ITO BIA technology. This scale is perfect for individuals who are serious about taking control of their health. BIA (Bio-Electrical Impedance Analysis) technology allows you to easily calculate your body fitness by imputing information of gender, height, age, activity level and your weight. In bare feet, this technology sends a low-level electrical signal though your body fat and then measures the resistance the signal encounters. This signal is perfectly safe and will not be felt. The Precision GetFit Scale stores up to 8 different users’ personal profiles and will be able to recognize these users as soon as they step onto the scale. This auto recognition software makes it simple to operate, since all you have to do is stand on the platform barefoot and it identifies who you are based on past weight. Let’s not forget about its universal EatSmart features! 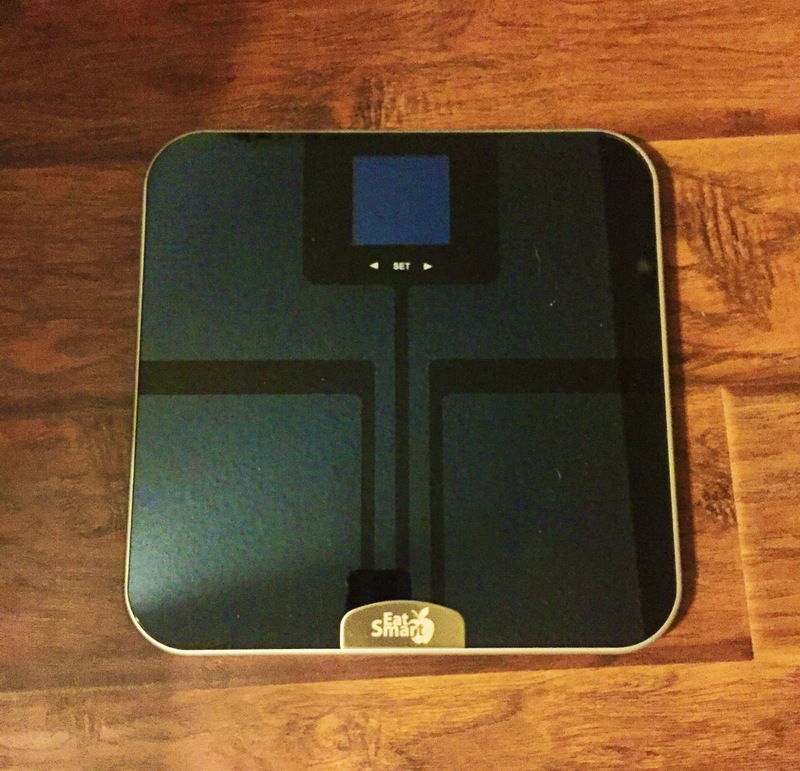 The Precision GetFit uses “Step-On” technology which means no more tapping to turn on your scale. It measures up to 400lbs and will display an accurate readout to the nearest 0.2 lbs on the oversized 3.5″ LCD display. Its sleek design and slim profile fits perfectly into any surrounding. The touch screen interface makes it one of the most user friendly bathroom scales on the market today. Now for the giveaway (US residents only)…. 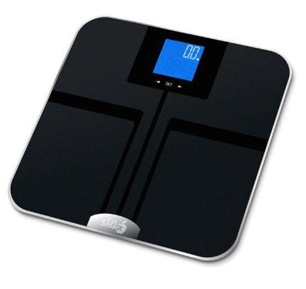 One readers is going to win a Eat Smart Precision GetFit Digital Body Fat Scale. Disclosure: I was given the products featured in this post. However, all opinions are 100% mine and not influenced in any way. 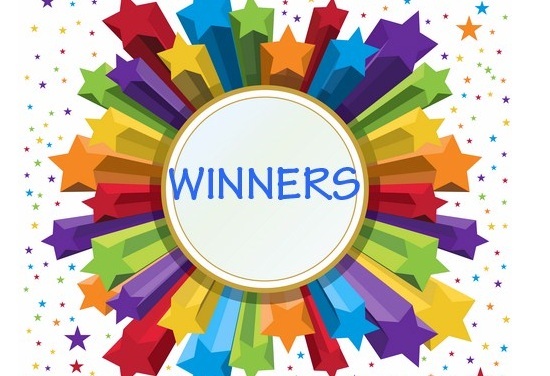 The winner of the Aera Smart 2.0 Holiday Diffuser Set is…. Prolitec, makers of the first IoT smart home fragrance device – Aera – has announced 2.0 upgrades and additions to their product line for Holiday 2017, along with special pricing. Unlike typical home fragrance products (sprays, candles, plug-ins, gels), Aera diffuses micro-fine fragrance droplets to perfectly scent large areas, and is controllable/programmable via a smart phone app, as well as by Alexa. 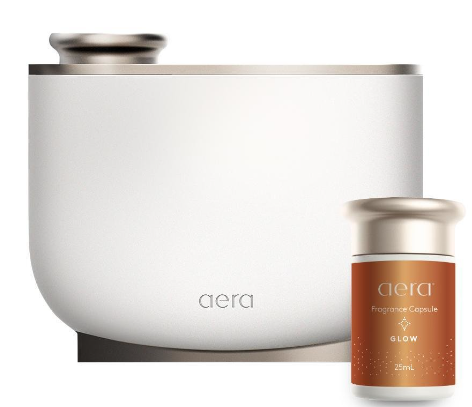 Aera Smart 2.0 Holiday Diffuser Set – including the next-generation device (small software bugs fixed, fragrance capsules are easier to load, scent settings are more precise, and operation is now “whisper quiet”) and choice of one of three special Holiday fragrances — Glow, Snowfall, or Celebrations. Price is normally $199, but is available now for $179. Aera Smart 2.0 Diffuser Set – includes the new Aera device, and six trial-sized fragrance capsules. $149 (normally $189). Aera Touch Diffuser Set – Just introduced, this is designed for consumers who don’t require IoT/Wifi control, and is operated manually. This set includes 3 trial-sized capsules and is available for $99, repesenting a lower cost-of- entry to the superior Aera home fragrance system. One readers is going to win an Aera Smart 2.0 Holiday Diffuser Set. To enter, leave a comment stating what Aera feature you like the best. PeachSkinSheets recently asked me to review a set of their 1500 thread count soft sheets and I was so impressed. I got to pick out my choice of color from their Color Palette of 19 beautiful colors. I chose “chocolate” since my bedroom walls are olive green and chocolate brown and it was a perfect match. The next thing I noticed was how nice of quality the sheets were. 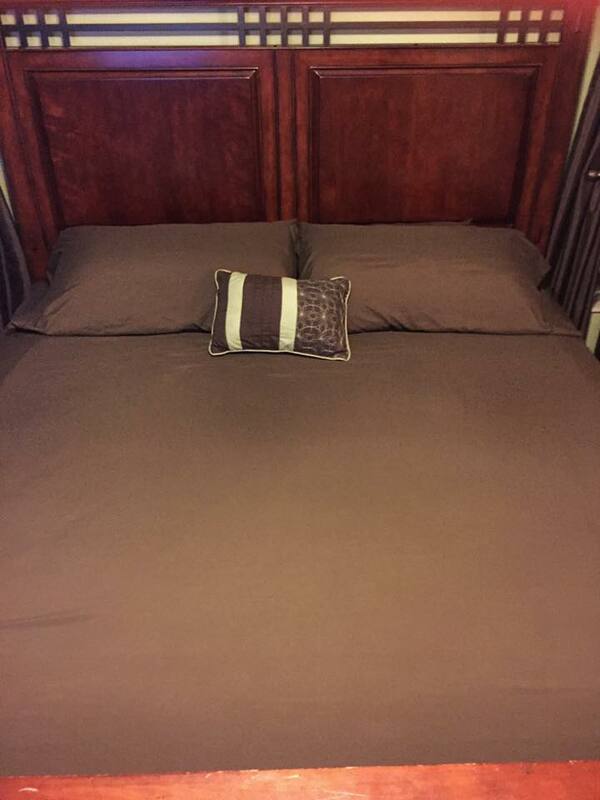 I have a deep mattress and the fitted sheet never slid off the corners like most sheets tend to do. And I stay so much cooler at night with these sheets. I recently was diagnosed with breast cancer and now have to take a daily med that makes me have hot flashes. These sheets have Advanced Poly Microfibers which allows them to breathe more than just cotton. You can see all 20 benefits of The Original PeachSkinSheets® Performance Sleep Fabric HERE. One final thing I really like is that PeachSkinSheets are backed by a 1 year warranty against any defects. They want to make sure you are 100% satisfied. You can check out some of the 3000+ testimonials from customers. One readers is going to win their choice of size & color sheets. To enter, leave a comment stating which color you would chose. Comment: my favs are mushroom,chix, garlic. Comment: I get your emails. 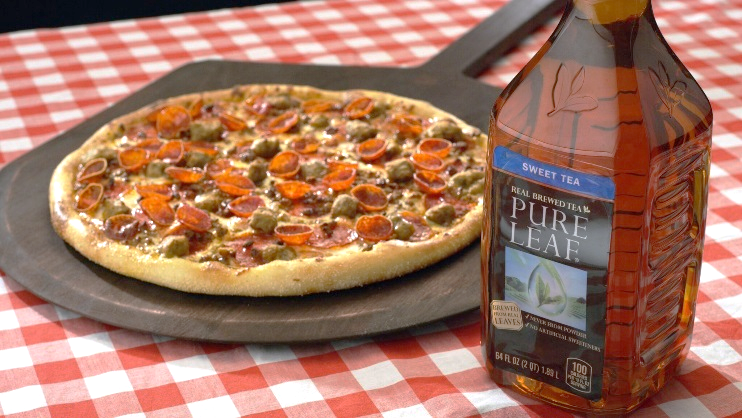 Marco’s Pizza has launched a refreshing “Magnifico Summer” promotion featuring its newest Magnifico Pizza with best-in-class beverage brand Pure Leaf Tea. Running through the end of August, more than 800 Marco’s Pizza locations around the country will offer a large Ultimate Magnifico Pizza paired with a 64-ounce Pure Leaf Tea for $12.99. A meat lover’s dream topped with regular pepperoni, Old World Italian pepperoni, crumbled sausage and Italian sausage, the Ultimate Magnifico pizza is a fan-favorite among the brand’s loyal fans. As part of the one-of-a-kind bundled promotion encouraging consumers to enjoy summer pizza “ParTEAs,” Marco’s Pizza will host a “Magnifico Summer” social media sweepstakes. Fans can share photos on the brand’s Facebook page that portray the ways they make their summer Magnifico at the pool, beach, picnics or backyard gatherings with friends. Winners will receive summer Pizza ParTEAs with free pizza and tea. One readers is going to win a certificate for a free large Magnifico pizza plus a half gallon of Pure Leaf Tea. To enter, leave a comment stating your favorite toppings on pizza. Sweese home and kitchen esentials are made out of high quality porcelain which is resistant to chips and stains. They not only enhance your daily cooking chores, but become an integral part of your everyday life. And because it is free of chemicals, this makes it a healthier option than other forms of cookware. 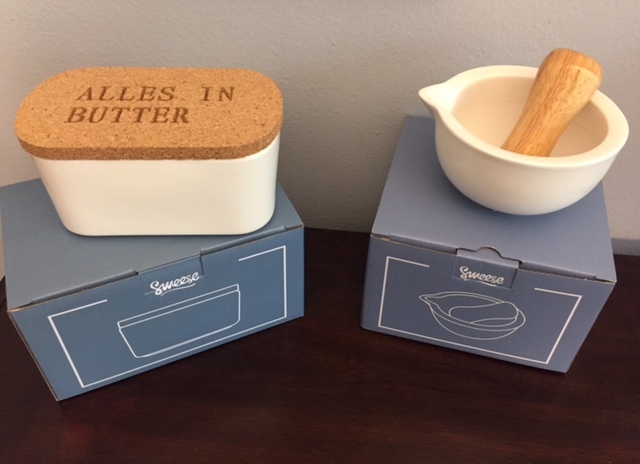 I was given the opportunity to review the Sweese butter dish and Mortar & Pestle set. I was immediately impressed with the packaging. Everything was a step up from most companies. The quality of the products themselves were also VERY nice. They are great for everyday use but I will be proud to set them on the Christmas dinner table. Also, I kept thinking how these would make great house warming or wedding gifts. TIGHT CORK LID WITH SILICONE RING SEAL – The top lid helps keep your butter sticks or margarine FRESH in the refrigerator WITHOUT mixing other food taste and will snap closed for odors. You can easily take off the ring seal freely if you prefer to. GENEROUS SIZE & A PERFECT MATCH FOR MOST BUTTER BRANDS – The container measures 6.3 x 3.7 x 2.9 inches, which is wide and deep enough to hold STANDARD sticks of butter, even 2 sticks. Works perfectly for both WEST and EAST/EUROPEAN coast butters. A great fit for fans of Kerrygold, Land O’Lakes, Plugra Butter and more. NO MORE MESS THANKS TO THE DEEP DESIGN – The tall and deep design helps stop the butter sticking to the top of the lid and staying there when you pick up the lid. Without mess, this Sweese modern butter dish adds a touch of elegance to your kitchen. 30 DAY NO-CHIP WARRANTY – Your purchase is backed by our exclusive 30-day No-Chip warranty – Sweese will offer a free replacement or refund if anything goes wrong with the product. That’s ZERO risk! Scroll down for more info. HEALTHY AND STURDY – The mortar is made of porcelain, lead-free and chip resistant. While pestle is made of high quality original wood, healthy to use. PRACTICAL DESIGN – The inside of the mortar is coarse for better grinding. The spout design makes pouring easy. Pestle with a user-friendly shape is comfortable to hold. MULTI- PURPOSE – It can be used for grinding and crushing herbs, grains, spices, nuts, roots, tea or pills. This is an easy way to make sauces and dressings for dinner, or rice and vegetable paste for your baby. GOOD SIZE & DISHWASHER SAFE – It measures in 4.9 * 4.5 *2.4 inches and 14.4 oz of weight. Porcelain is stain-free, easy to clean and dishwasher safe. Hand wash the wooden pestle. GIFT PACKAGE – It is packaged in a gift box making it perfect for special occasions. One readers is going to win a Sweese Butter Dish. To enter, leave a comment stating what you like most about this butter dish.